About – Finicky Pet Food, Inc.
At Finicky Pet Food, Inc. we strive to produce top quality products that will meet or exceed the expectations of our customers’ specifications. We process fish for the petfood industry at our facility in New Bedford, Massachusetts, which is the most profitable and highest grossing fishing port in the USA. Taking advantage of our location and proximity to the heart of the New England fishing industry, we process and plate freeze all of our fresh fish on the same day that we receive it. We do this to ensure that we are providing the freshest product to our customers. Our entire team is dedicated to providing excellent customer service. Our commitment to quality and on-time delivery to our customers is what makes Finicky different from other pet food ingredient suppliers. We partner with our transportation vendors to ensure on-time deliveries with the best possible freight rates for our valued clients. Finicky Pet Food, Inc. has been providing quality products to our customers for many years. Over the years, our business has grown. We are proud of the relationships that we have established and the repeat business that we are able to do. 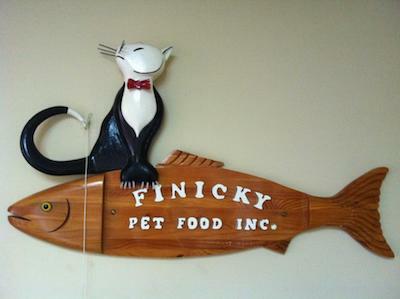 The owners of Finicky Pet Foods, Inc. have many years of experience working in the fishing and the petfood processing industries. This combined experience has helped to make our business a success. We strive to exceed the expectations and specifications set by pet food factories to meet the nutritional standards, including protein, moisture, fat, and ash. Our specialty lies in the fishing industry, providing top quality marine ingredients and fish by-products for the health and nutrition of domesticated animals. All of our products are made from natural ocean ingredients, and our methods are held to the highest standards to provide trusted natural food products for our clients. We have a Hazard Analysis and Critical Control Points Plan (HACCP) in place to ensure that the fish protein meets the standards and regulations required for pet food manufacturers. Contact our New England Division offices by calling 508-991-8448 and speak with our sales team for more information about all of the products we provide to the petfood industry.